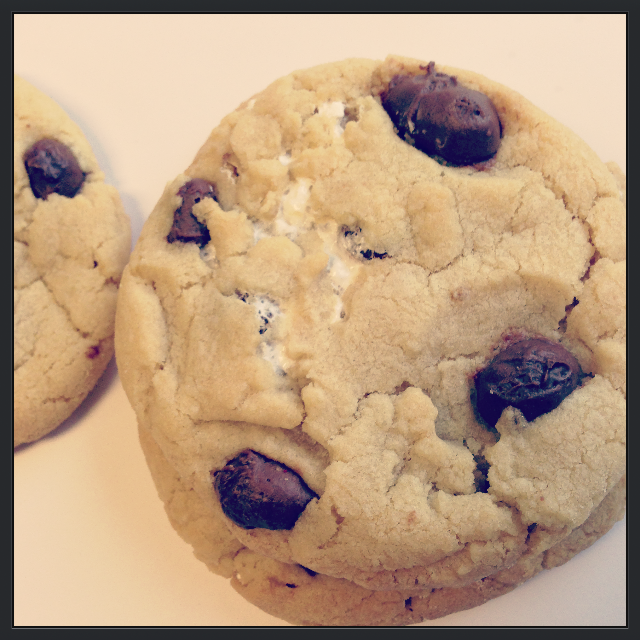 bake | Welcome to the world of NECCO! We’re on a cookie baking roll! 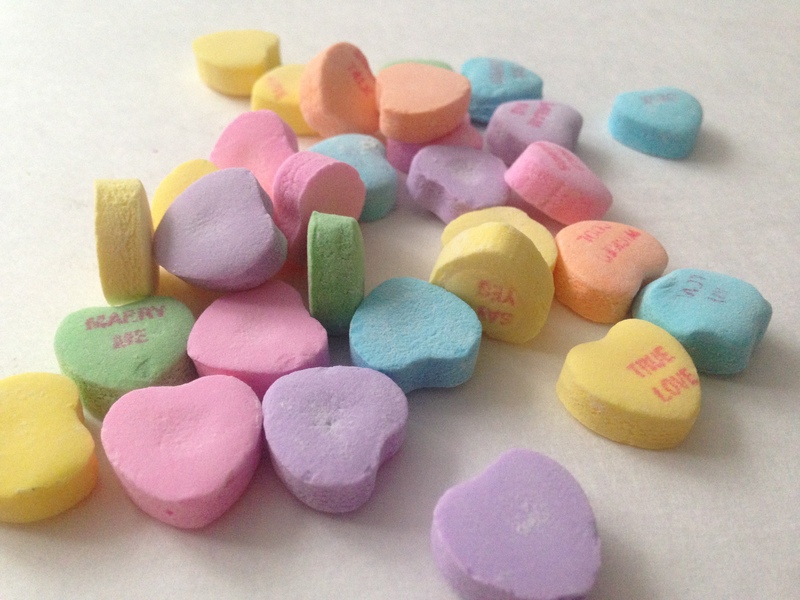 And, we love enjoying all of our NECCO candies so much that we just love to incorporate them into as many recipes as we can. 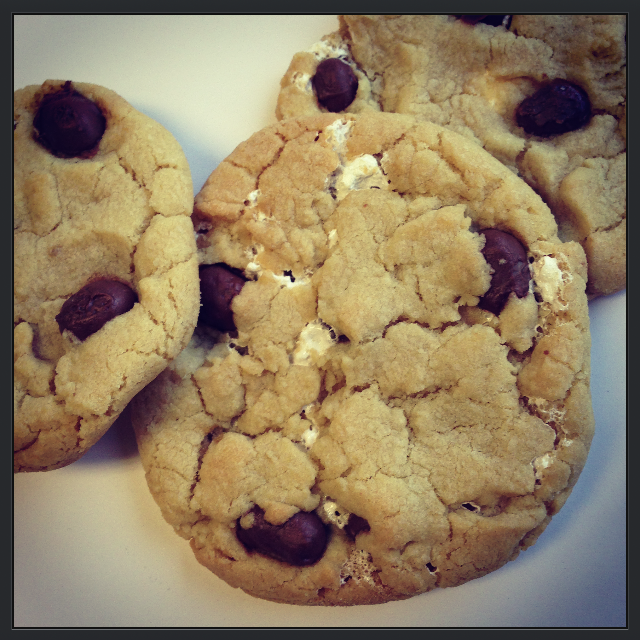 Today’s recipe brings you a warm, chewy treat that you’ll love to share! 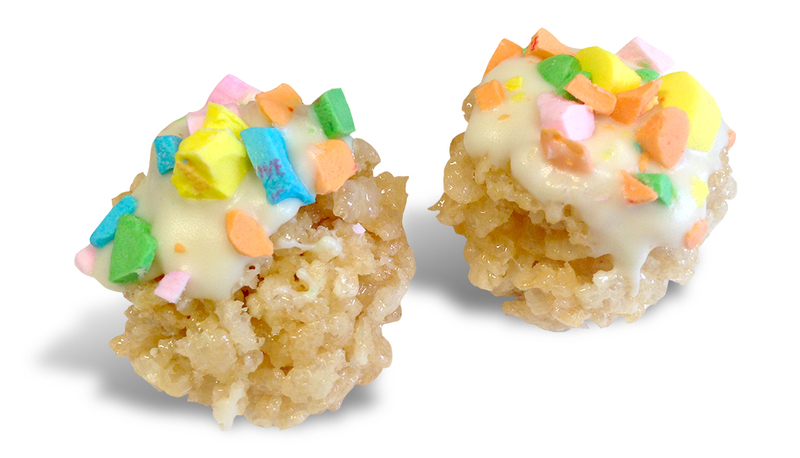 These cookies are topped with Haviland Nonpareils, one of our fans’ favorite theater and snack time sweets. So grab a glass of milk or a mug of coffee or hot chocolate and settle down with some friends and family to indulge on these delectable desserts! In the medium sized mixing bowl, gently mix together the flour, baking soda, and salt, using the whisk. Set aside. In the large mixing bowl, beat the butter, sugar and brown sugar together at medium speed with a mixer until well blended. Beat together the egg, egg yolk, vanilla extract and milk until completely combined in the second medium mixing bowl. Add the mixture in the second medium mixing bowl to the butter/sugar mixture in the large one. Use the mixer to blend until thoroughly combined. Gradually add the dry mixture from the first medium mixing bowl into the large mixing bowl and use the mixer to blend completely until you have a light fluffy mixture. It’s often best to chill the dough for 30 minutes to an hour before you begin baking, but this is optional. Bake for 10-12 minutes, paying attention not to burn the cookies. Remove from oven when they are golden brown around the edges. 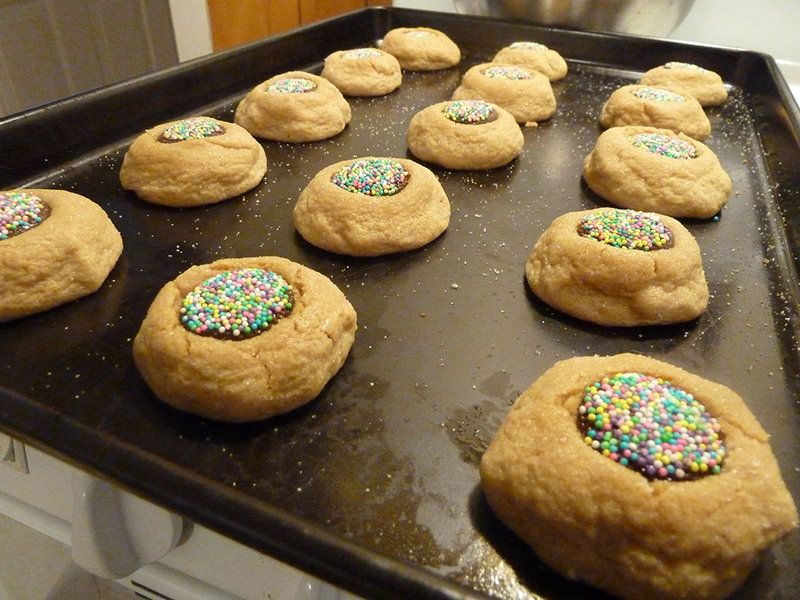 Once removed from oven, take one Haviland Nonpareil and place it on top of each ball of dough and press down slightly so it sinks into the warm dough and begins to flatten the cookie. Leave to cool for a few minutes and then move cookies onto a wire cooling rack to cool completely. 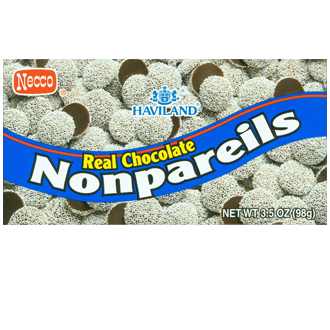 Categories: Cookies, Recipes | Tags: bake, baking, candy, Chewy cookies, chocolate, cookies, dessert, food, Haviland, NECCO, new england confectionery company, nonpareils, recipes, sugar cookies | Permalink. 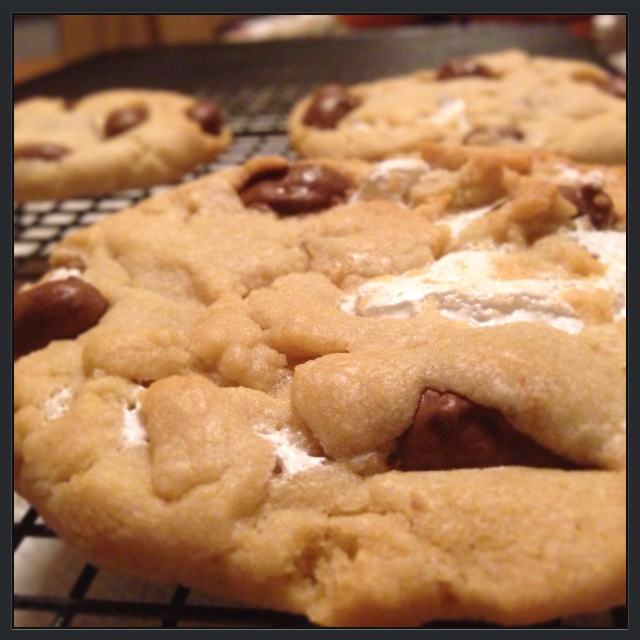 Marshmallow Swirled Chocolate Covered Peanut Cookies! 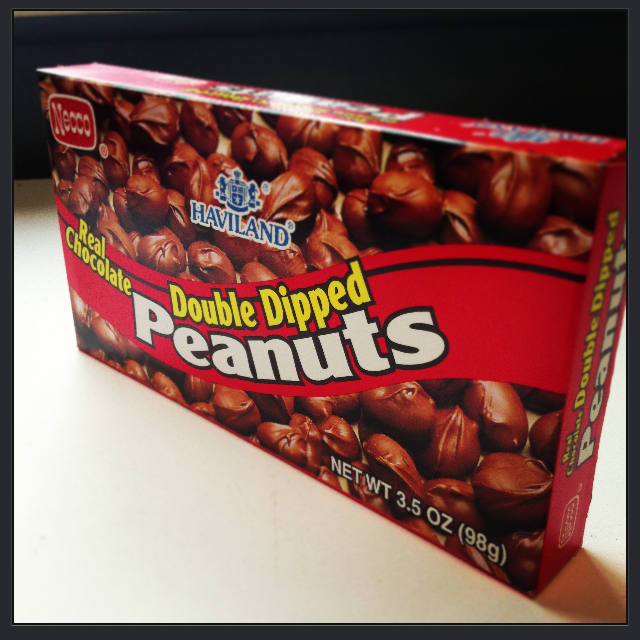 Today we’ll share with you an easy recipe using one of our favorite pop-able sweets: Haviland Real Chocolate Double Dipped Peanuts! This creation will make your taste buds smile and have you reaching for a cold, refreshing glass of milk! We just can’t resist baking with these Haviland Double Dipped Peanuts as their real chocolate and peanut crunch make them the perfect ingredient in nearly every recipe. 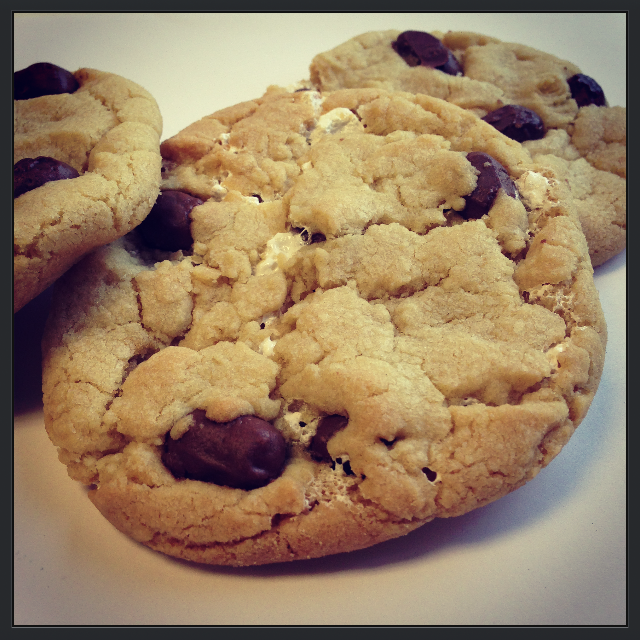 So, today we bring you a recipe that creates a blend of peanut, chocolate and marshmallow that is simply irresistible! So before you dive into your spring cleaning, whip up these yummy treats and take a moment to enjoy! In the medium mixing bowl, gently mix together the flour, baking soda, and salt, using the whisk. Set aside. In the large sized mixing bowl, use the mixer to blend together the butter, brown sugar, and sugar until completely combined and smooth. Add in the egg to the large mixing bowl and blend with the mixer until it is a light, fluffy consistency. Repeat with the vanilla extract. Once this mix is ready, slowly add the flour/baking soda/salt mix from the medium sized bowl in increments to the mix. Use the mixer on a lower setting to thoroughly combine these ingredients. This will be a gradual process to complete mix ingredients. There are many methods to filling the dough with the Double Dipped Peanuts and marshmallow creme, so feel free to improvise! 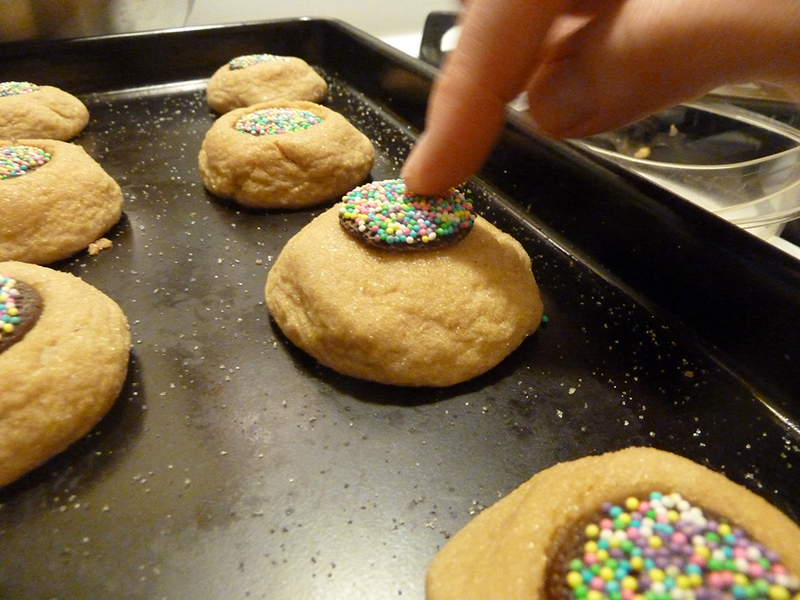 We used our hands to roll the dough into at least golf-ball sized balls (these cookies often work best if they are made larger!) and then pressed our thumbs into the center to hollow them out. Again, improvise and make changes where you want. This recipe is great for that! 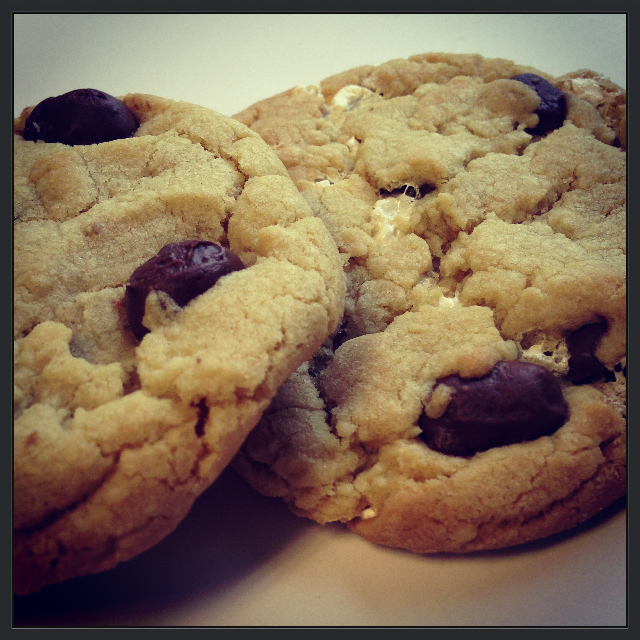 Want more marshmallow creme? Add it on in! A couple extra Double Dipped Peanuts? You got it! Have fun! 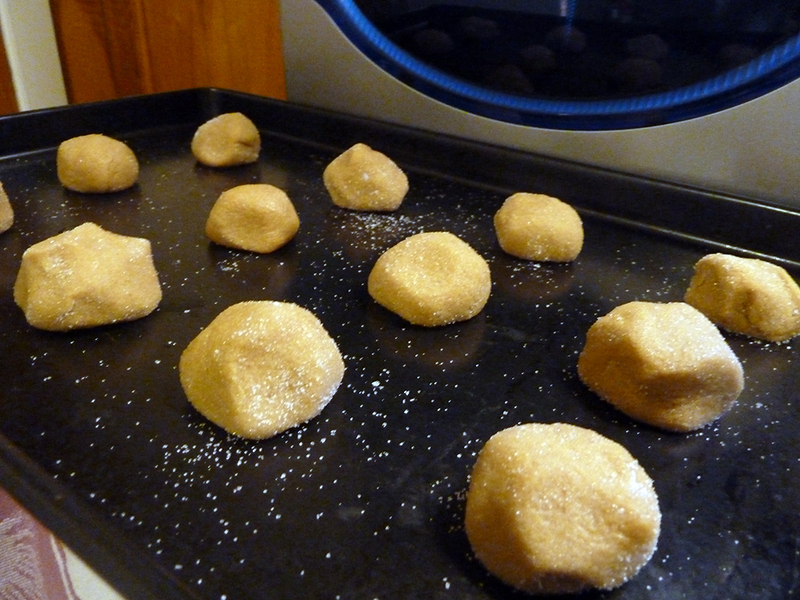 Line the cookie sheets with parchment paper, and place the dough balls 2-3 inches apart. Bake for 10-12 minutes (judge if more time is needed). 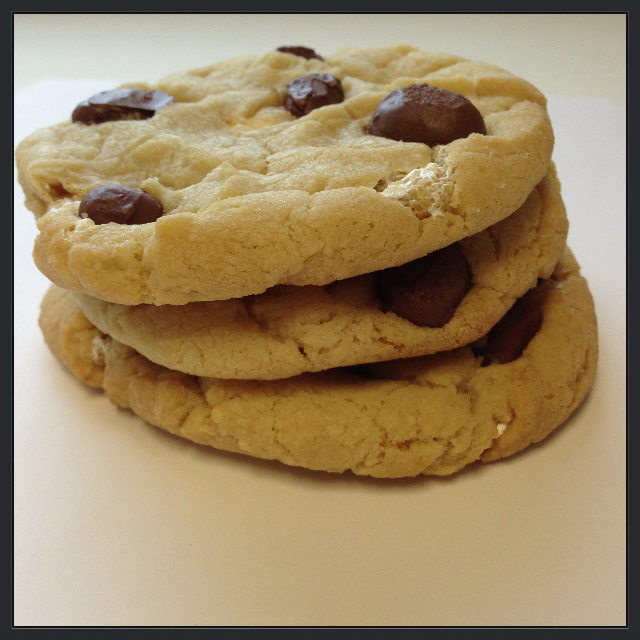 Pay close attention to the cookies to ensure they are not over-baked or burnt. 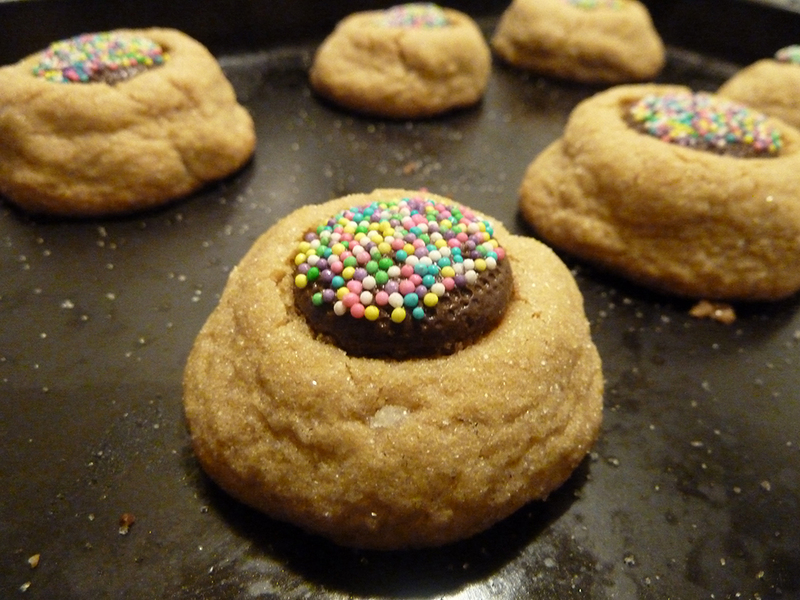 Remove from oven when cookie edges appear golden brown. Once golden brown, remove from oven and set aside to cool completely. 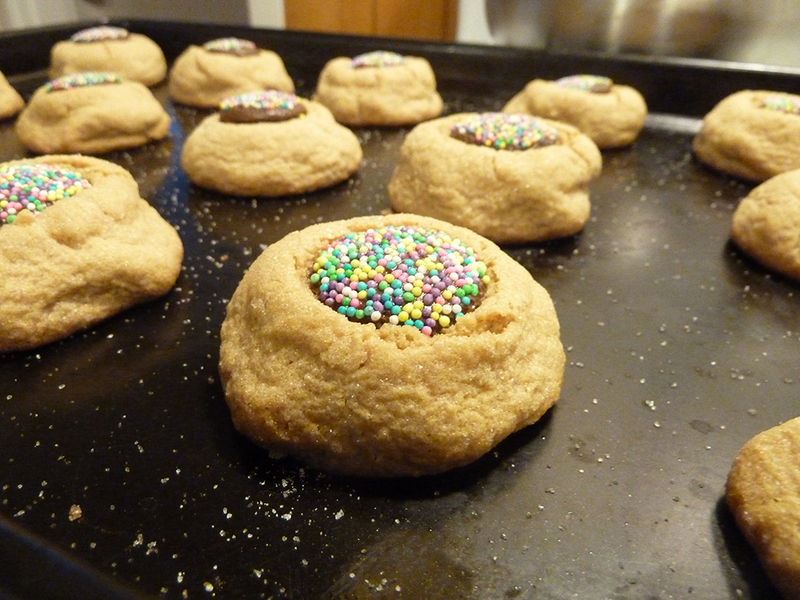 Once cooled, move cookies from parchment paper to a cooling rack. Don’t do this too soon or your cookies will crumble. Categories: Cookies, Recipes | Tags: bake, baking, candy, Chewy cookies, chocolate, Chocolate Covered Peanuts, cookies, dessert, fluff, food, Haviland, marshmallow, marshmallow creme, NECCO, new england confectionery company, Peanuts, real chocolate, recipes, sugar cookies | Permalink.